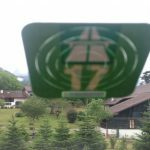 Less than two weeks ago it was revealed that the Swiss Federal Roads Office (FEDRO) wants to limit motorway speeds to 80 km/h during rush hour. It is hoped that lowering the speed limit and using hard shoulders or emergency lanes near cities could increase traffic fluidity and reduce traffic congestion. In addition, the Blick revealed recently that the government wants to charge drivers based on distances travelled and the time of road use. The current Swiss vignette would be replaced with a device that tracks distance, location and time. 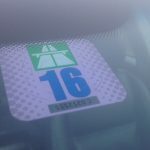 The current road tax sticker costs CHF 40 and allows a car to be driven any distance at any time on all Swiss roads for a calendar year. There is a grace period of one month at the beginning and end of every calendar year so it is possible to drive from 1 December of the prior year until 31 January of the following year. Introduced in 1985, display of the vignette is heavily policed at some customs posts, where the stickers are sold. Any driver driving a car without one risks a fine of CHF 200. Heavy vehicles are already charged based on distance. 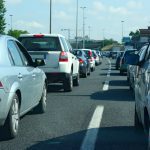 Jürg Röthlisberger, head of FEDRO, said that road space at peak hours has become a rare commodity at ridiculously low prices. Jürg Röthlisberger spoke of relatively low prices. An average driver shouldn’t spend more than CHF 40 a year. At an average distance of around 9,000 km per year, the average per kilometre charge would come out at between 0.4 and 0.5 cents. Payments would be made monthly. There are still some questions around data protection. Suggestions of Big Brother surveillance are unjustified according to FEDRO’s boss. He cites insurance company products that require drivers to fit drive recorders as an example of how the tracking could work. Drivers with drive recorders have their speed, acceleration, time, and route type recorded. This allows insurers to reward safer drivers with lower premiums. If drivers’ every move is recorded then any speeding offense could also be recorded. 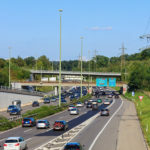 While Jürg Röthlisberger said he was opposed to such monitoring he admitted that speed recording would be technically possible, adding that the success of such a system would require the public to trust the authorities. After running several schemes starting in 1975, Singapore introduced a demand based system in 1998 called Electronic Road Pricing (ERP). Cars have devices fitted to the inside of the windscreen. The device has a stored-value card inserted in it from which payments are automatically deducted as the car moves around town. Around 80 overhead devices or gantries in high traffic areas automatically scan the in-car devices. Prices are based on location and how slowly the traffic moves relative to target speeds. Prices increase dramatically at peak times. Passing under most gantries costs nothing late at night but rises as high as $6 at peak times in high demand locations. The more gantries you pass the more you pay. All car licence plates are photographed, so those who fail to pay can be identified and sent a bill. Singapore’s Land Transport Authority reported that the scheme had reduced car numbers by nearly 25,000 and increased average road speeds by about 20% at peak times in the most congested areas.